Ever since the Aaron Hernandez debacle, the Patriots have been making efforts to replicate that two tight end tandem that was so effective for them. Last year, Scott Chandler was chosen to be Rob Gronkowksi’s running mate. That experiment didn’t exactly pan out the way that everyone had hoped, as Chandler caught just 23 passes for 259 yards in 2015, both career lows. Hernandez’s worst season during his time as the Patriots’ secondary tight end was 2010, when he caught 45 passes for 563 yards. With the recent acquisition of Martellus Bennett, the Pats are in a position to get that tight end production that we saw from 2010 to 2012. Bennett has played eight years in the league, but he’s still only 29 years and had his best season in 2014 when he caught 90 passes for 916 yards. Last year he was limited to 11 games due to injuries but still managed to catch 53 passes for 439 yards. The best part is that he did all of this damage with Jay Cutler throwing the ball to him. It’s not uncommon for Tom Brady to take a player’s career to places that nobody thought were possible, and if that’s the case with this guy then we just might have the two best tight ends in the league. 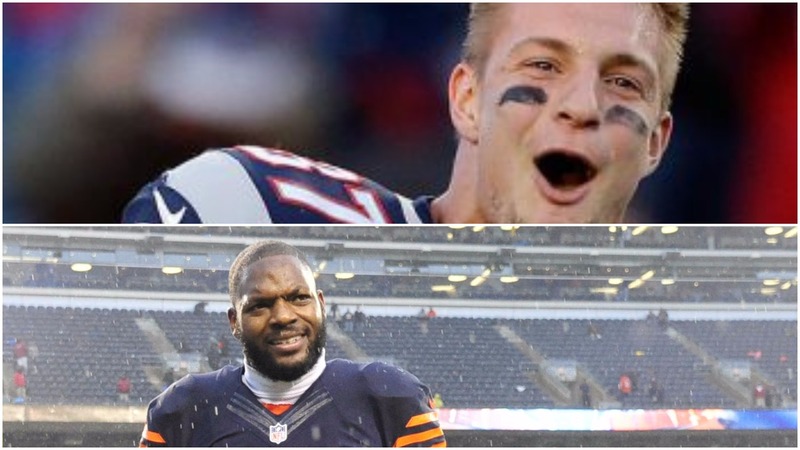 Obviously Gronk is still the GOAT, but Martellus Bennett has the opportunity to be the best tight end that 87 has played alongside.